We watch Kiefer Sutherland in Mirrors. We mean the movie-- we didn't break into his bathroom or anything. Meanwhile, Elliott pitches a crypt keeper movie, Dan inadvertently casts Dean Martin in his greatest role ever, and Stuart has a little problem comprehending the film's ending. 0:00 - 0:38 - Introduction and theme. 0:39 - 30:46 - Is Mirrors scarier or less scary than any other horror film starring an inanimate object? 30:47 - 33:46 - Final judgments. 33:47 - 43:35 - Letters from listeners and a window into Dan's low self esteem. 43:36 - 49:25 - The sad bastards recommend. 49:26 - 50:11 - Goodbyes, theme, and outtakes. Come eat free cupcakes and hear me read. And check out this short write-up here. Featuring pieces that were, for whatever reason, left out, declined, removed, and rejected from the recently released, critically acclaimed book, Rejected: Tales of the Failed, Dumped, and Canceled. 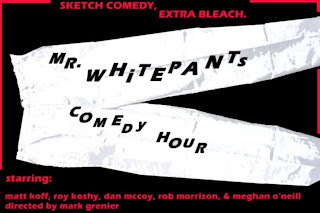 --For established fans and/or new fans of the book, the show will also feature readings/performances from some of the book’s actual contributors. AND live music from Erin & Her Cello! 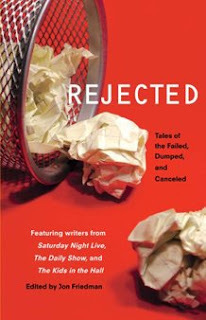 'Rejected from Rejected' is a uniquely fun, entertaining, funny, and insightful night filled with rejects of rejection and accepted rejection from rejects in the book REJECTED (or something like that). Since people seem to enjoy the outtakes, here's an extended peek behind the Flop House curtain and last week's episode, with even more talk of Demon Knight and other topics. Due to outside circumstances, we had no time to post show notes (or, for that matter, edit the show beyond adding the theme/ introduction/ outtakes) this week. But enjoy the episode. The Flop House Movie Minute #21 - Who Watches the Watchmen's Penises? Turns out it's Whoopi Goldberg. Check out this video I did. 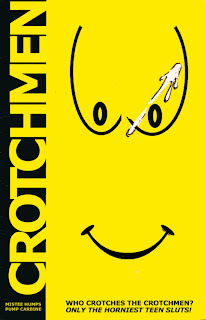 It's the first in a series (provided that boredom and laziness don't prevent me from putting out more). Production/ editing/ illustration/ music by me. Writing and voice work by me and Matt Koff. WARNING AND APOLOGY: Our Floptacular episodes must be cursed. Last year's Academy Awards show featured a nearly inaudible Elliott, and this time around Stuart's mic appears to have gone dead -- and we somehow managed to overlook this until editing time. We've done our best to "fix it in post," but it's still highly noticeable. Luckily, Stu's a rather laconic fellow anyway. We've made a real effort to increase our sound quality over the last 20 shows, so we're embarrassed that this one had issues. Please bear with us, and we'll do our best to keep this from happening again. 0:27 - 45:34 - We discuss the Oscars. Oh surely the skies will be dark tonight as all the stars are in Hollywood's Kodak Theater! 45:35 - 55:35 - Letters from listeners.